The Aune has been playing music none stop since I got the unit. I feel like I can now post a quick review. So I decided to sell my Musical Fidelity X-Can and decided to purchase one of a popular USB headphone amp from China thru Ebay. Here is what I got. *USB controller chip Burr-Brown PCM2707. *Digital Coaxial/USB input, RCAx2/6.35mm stereo analog output. As far as internal components go, everything looked too good to be true. But Iâ€™d decided to pull the trigger anyway. What do I have to lose, really? The unit arrived from China well packed and everything seem to be in place. No external abuse by the carriers. The only problem was the power supply it came with. The box came with a cheap step-down converter. The output was supposed to be 12V, but it had actually putout 20V instead. Couple of scary sparks and nothing more. With a proper PS, everything sounds great so far. It will be interesting to see if it’ll compete with a unit priced at 3 to 4 time more. The digital glare is overwhelming for my 30 year old ears, and I don’t care to listen for more than 30 minutes. What I usually do now is to decrease the treble output on iTune’s equalizer setting by 2-3 decibles. Bass control and depth is very good. Midrange is okay but still shows a bit of digital glare. I’ve read reports on how OPA2604 can pierce ears, but have also read how 2604 sounds more analog than 2134. I’m not sure what to believe… except for my ears. I might try swapping out OPA2604 for OPA2134 and see what happens. I defintely need warmth of tubes from the headphone amp. The output level is fixed so the volume control is only good for heaphones when plugged in. This really helped me compare the RBCD capability between the Marantz and Aune MiniHeadamp DAC. When switched from the Marantz to the Aune, the overall sound became focused. Music is no longer sloppy and it truly reminds me of the importance of synergy. I’m sure the Marantz is a great unit and works great for others, but it just doesn’t work out in my setup. I didn’t feel the need to compare the Marantz as a transport. Currrently, the only reason why I have the Marantz is it’s SACD function…., but the Marantz offers slightly bigger sound stage. The Aune performs well as a DAC. 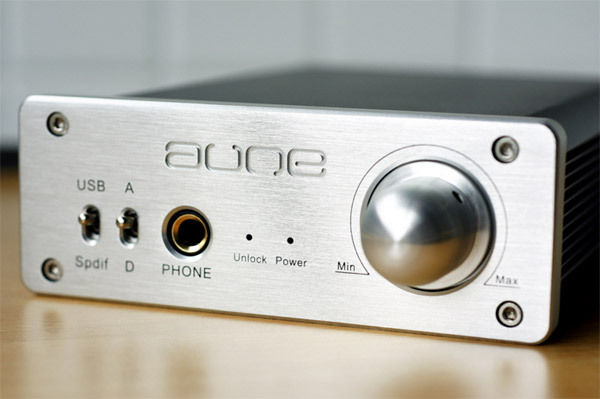 Aune sounds much more authoritative than the Marantz’s headphone amp. Marantz sounds a tad bit warmer, but the sound is somewhat fuzzy. Does JRC 2114D Opamp inside of the Marantz has anything to do with it? But as far as its listenability goes, I would still prefer the sound of Marantz’s headphone amp. Looks like I need to get a IC puller and a handful of Opamps. Overall sound is much warmer than the 2nd combination (iTunes=>iTunes=>Aune=>ATH AD1000) with a hit of digital glare. I can listen to this setup all Day and Night. If any of the Hybrid Integrated amp sounded this good, I wouldn’t regret to replace my EAR integrated amp. 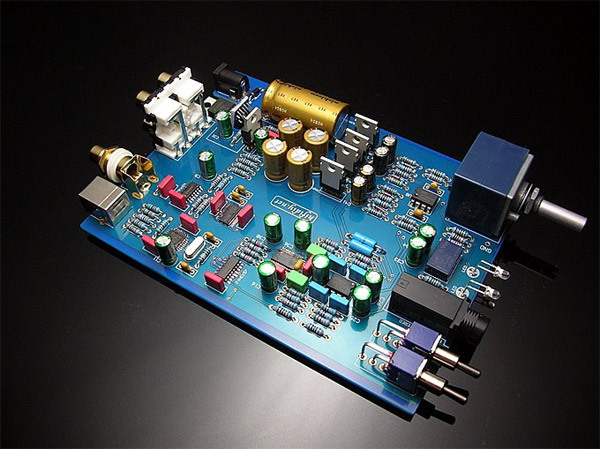 It has the warmth and forgiveness of vacuum tubes, but the overall sound has strong grip of SS amp. * I just simply love tubes. * As always, Synergy is important. * The Aune is simply too cheap for what it offers, and I’m keeping the unit unless I make major changes to my setup. Again, Synergy is very important. * Opamps need to be swapped for upcoming business trips. *It’s amp may be better suited for other headphones such as the Sennheiser HD-650. I have to say that I had one of these and sent it back. It was just too harsh and after over 100 hours of use, it didn’t settle down. It has fixed outputs so it’s useless as a pre-amp for powered speakers. I tried several sets of quality headphones, some dark some bright and really wanted to like this thing but couldn’t. It’s just too hard sounding and not at all subtle. On the up side, it’s incredibly revealing even though that tendency can lead to my biggest complaint about it: the harshness. Quality control isn’t great either. My unit had a loose op-amp and needed a repair. Save your money. Sure, there are excellent products out there for not much $$$ but the Aune Mini Headphone DAC isn’t one of them. Fixed outputs??!! Have you any idea what you’re talking about? Check the setting switches and stop sharing your ignorance. I disagree with the comment saying this unit sounded “harsh”, I have had this DAC/amp for a while and have had no problems. This unit sounds as good as DACs costing twice as much in my opinion. I Would recommend changing the cheap power supply it is shipped with to a regulated 18V PSU. Fixed outputs??!! Have you any idea what youâ€™re talking about? I think above post was referring to RCA output, and not the headphone output jack. My RCA has fixed output as well. If it needs to be used as preamp, Donald MacGregor will need to get a 1/4 to RCA cable. I still own the unit, and it has yet to sound warm. I don’t think the unit is supposed to have warm characterist. It has great synergy with G3 Phenix OTL headphone amp. I love the combination, but it’s too bright for me to use by itself. I got one of this today. Running everything stock. I m quite happy with the sound. Only there seems to be some constant noise in the background. just a tiny moving “air” sound. Its definitely not from my source .. cus i can still hear it with the source unplug ….. and its not my earphones either as i use them everyday with other device. Is it normal for this Dac? or do i have a faulty unit? Is it the same sound you hear when you turn your speakers up really loud w/o playing music? If so, than I would ask – do you hear it a low volume and high? Is the unit in a grounded outlet? I wouldn’t say that a ‘tiny moving air” sound is normal in the least. You should get in contact with the seller – that doesn’t sound good IMHO. And yes, I mean the power socket. The system as a whole, make sure it is grounded properly as well. Sometimes a bad ground can cause a hummm… not often these days – but it can happen. 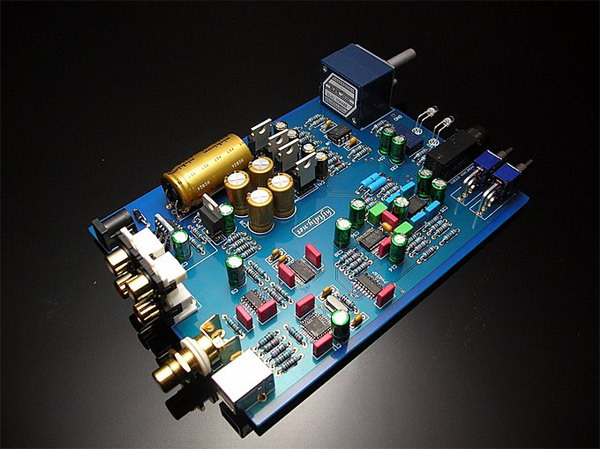 When comparing this to an item like Audioengine D1 or HRT Streamer II, which is same pricerange, and the USB connection on this seemingly is like very low, something like 16/44 bit, am I then right in making a choice at the Audioengine D1? Or does any of you guys think different, as you thinks diff.? I know cd’s are 16/44 bit but really, I think I can hear a clear diff. when using 24 bit! I recieved the Aune nano today and was very happy untill, suddenly the power went off. There is only power in 1 of 2 lights. When left for a while there goes power to 2 lamps out of 2, green diodes. Is it possible it is lacking power from the source of power 9V it came with and need more power?! I think, that that may ruin the item, but here people talk about giving it more power?